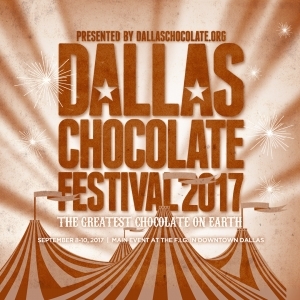 Register Now for the 2017 Dallas Chocolate Festival! 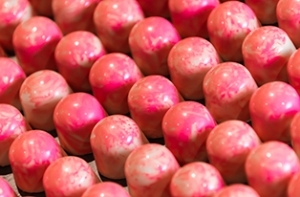 The Dallas Chocolate festival is in its 8th year, and gets bigger and better with each year. 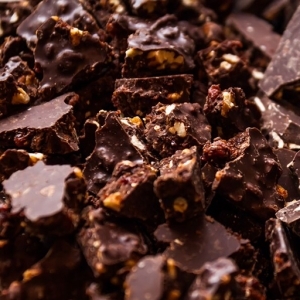 Chocolate lovers from around the region come to taste, learn… and shop! Spaces are limited so register today. When: September 8 – 10, 2017. Where: NEW LOCATION!!! The F.I.G (Fashion Institute Gallery) in the heart of the Arts District in Dallas. Located at 1807 Ross Ave. This year we anticipate 2000 guests at the main event on Saturday. The Festival has sold out for the past 3 years, and 2017 is expected to sell out as well. The main event is family-friendly and is open to all ages. VIP ticket holders and the media get early access. Entry times are staggered to manage flow of attendees to be constant throughout the day. It will be a steady stream of chocolate-seekers from 10:00 – 4:00. Vendors are required to sample. A sample can be small, but be prepared to provide at least 1000 samples. Vendors are encouraged to stagger samples so that they have product available throughout the entire day. The 2017 Dallas Chocolate Festival will celebrate the creativity and talent from chocolate makers and chocolatiers the world over. The goal is to educate the public about artisan chocolate… one bar at a time. Our belief in education also is reflected in our scholarship program. A portion of funds from this event will provide full scholarships to pastry students enrolled in North Texas college-level culinary programs. The theme for 2017 is “The Greatest Chocolate on Earth!” Our circus-inspired theme will emphasize the fun and showmanship of the artisan chocolate industry. This will happen with live demos right on the showroom floor, more formal talks and presentations, photo ops, and live video displays. The last three years of the Dallas Chocolate Festival have been completely sold out, and we expect 2017 to be no different. This is a FANTASTIC opportunity for you to get your products in front of a very targeted audience. Roaming video broadcast with Madame Cocoa from the show floor. Free Parking included with ticket price. New Location! We’re excited to bring the festival to one of the coolest venues in the Arts District: The F.I.G. Ample parking (free for attendees) right across the street. Double Wide booths. A limited number of double wide spaces will be available for vendors that want to amplify their impact. Additional floor space. We have room for up to 60 vendors, as well as side rooms for demos, the children’s experience, and some other fun surprises. Simply click here to go to the vendor registration form. Questions? Send us an email. We’ll get back to you as fast as we can.